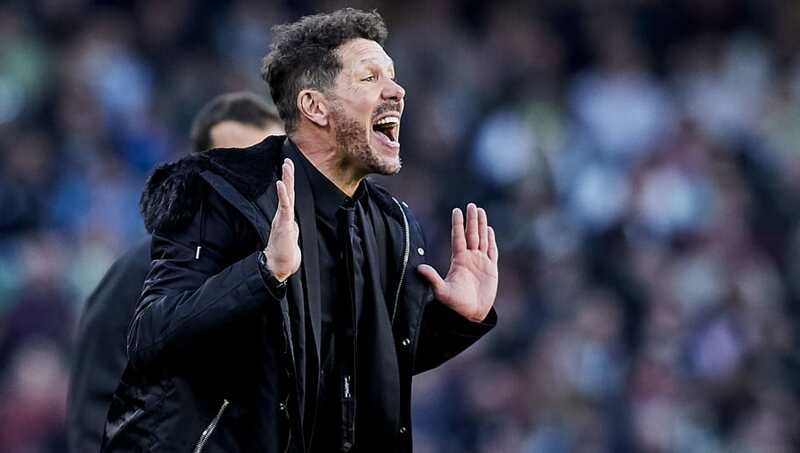 ​​Atletico Madrid manager Diego Simeone has revealed that he is looking forward to the reunion with his former player and current ​Real Madrid manager Santiago Solari when the two clubs meet in ​La Liga tonight. Solari played under Simeone towards the end of his playing career when the pair were at Argentine club San Lorenzo, even if it was for a very limited time before the former moved on to Mexico. Simeone remembers Solari from his playing days and said that the player was class personified during his time with the club and is looking forward to meeting him in his new role as Real manager. "I've known him for a long time. I was his coach at the end of his career, he gave us a lot of class and hierarchy at that time," he told a media conference, according to Goal. "As Argentinians we meet in some common places, we go to eat. I think he is capable and he proved he can do his job, and that as an Argentinean makes me happy." His counterpart also seemed to looking forward to the meeting, saying, "I respect him a lot, we have been teammates and he's also been my coach at San Lorenzo. It's a nice experience for me to share things at a professional level. Tomorrow will be a great game and we have to go out to compete hard, that's what we'll do and they will do." However, when the match starts, all niceties will be put aside, with both teams chasing ​Barcelona in the race for the league title.